Stephan Drake’s DPS has been a pioneer in premium quality powder ski shaping, materials science and construction since 2005. The last few years have seen DPS branch out into new markets for all-mountain designs and specialty carving skis, tweaking the layups, geometries, sidecuts and flex patterns each season in a search for a frontside ski to develop a cult following enjoyed by their powder skis. These are DPS's second-iteration of their more affordable "Foundation" construction series utilizing bamboo cores, triaxial fiberglass and carbon stringers rather than the more expensive full-sheet carbon prepeg laminates on a poplar core built into in their Alchemist series. The price difference is significant ($799 vs. $1299 +- usd), and the Foundation skis are targeted at a more mainstream, midrange customer than their traditionally high-end, fanatical ski enthusiasts who covet the full-carbon layups of DPS's premium level skis. These v2.0 Foundation skis have evolved to have better performance on harder surfaces and higher-pressure situations than the v1.0 Foundations, yet retain their very lightweight feel underfoot and afordability for a wide range of skiers. Shape geometries, flex patterns and camber profilles have also been refined in these v2.0 Foundation skis to deliver an update to DPS's unique turn behavior and feel on-snow. "At the center of the new Cassiar family offering is the 87mm edition. A perfect choice for everyday resort use where you are 50 percent off-piste and 50 percent on-piste. The Cassiar 87 carries all the performance and refinement DNA of a C2 ski. This Foundation choice will feel damper and smoother than the Alchemist version, and a bit less reactive and energetic." In the year 2000, 82mm underfoot was an ultra-wide powder ski. These days, it’s at the narrow end of the spectrum. That said, 82mm underfoot is still an amazing place for all-mountain excellence. Great piste performance, with just enough flotation to make mixed snow a great pleasure. The Foundation choice will feel damper, smoother, and more forgiving than the Alchemist, yet also less reactive and energetic. C2 chassis." While positioned as their moderately-priced lineup, the Foundation series from DPS (both the CF82 and CF87 we tested) is superbly finished and demonstrates a very high quality of construction and final prep before being shrink-wrapped. The fit and finish is excellent and represents a reference standard for small ski companies around the World. The rich and vibrant cut-resistant textured topsheet is expertly applied in a semi-cap wrap to the sidewalls where edge and base mating is beautifully executed and finished. Bases came straight from the factory with a nice base grind pattern and an above-average edge tune, making them wax-and-go ready out of the wrapper. DPS takes pride in its product, and the attention to detail in the ski’s final appearance and construction finish shows their passion. The Pantone gradient color schemes are simple, yet handsome and show great rack-appeal when seen on a retailer’s show wall. The flex is moderate throughout the shovel, midbody and tail section with nicely rounded arc on both the CF82 and CF87. They feel light (1864 and 1863 grams each for the CF87 and 1707g and 1693g for the CF82) and respond with a lively rebound. They look and feel like a high-quality product. Torsional resistance feels moderate. Shaping of the sidecut looks like they would execute smooth arcs since there are no abrupt shape transitions anywhere along the ski’s length. Eastern corduroy, packed powder and hardpack groomers & boilerplate., shin deep to knee-deep cold powder conditions. The DPS Cassiar Foundation 87 (CF87) and Cassiar Founation 82 (CF82) are recreational frontside carvers (not a race carvers) which feels like they're targeted at the weekend warrior or vacation skier who loves freshly groomed packed powder surfaces and prefers to carve precise, carefully executed, elegant arcs with a light-feeling ski but doesn’t ski at ticket-pulling warp 9 speeds or venture out onto impermeable boilerplate surfaces. Both the CF87 and CF82 deliver an elegantly-shaped set of carved turns into packed powder surfaces with very little effort and zero resistance with their refined geometry and flex pattern in a very lightweight chassis, and deliver very quick edge-to-edge response, but they have some limitations. 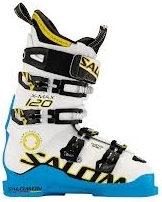 They prefer a packed powder surface, delivering a silky ride and intuitive carved turn sequence on auto-pilot with remarkably low effort, but lose their composure and grip on boilerplate surfaces where they can feel skittery and unattached at speed. The CF82 and CF87 thrive in their element of groomers with packed powder surfaces, with the CF87 having more offf-piste prowess and versatility. Both struggle when taken out of their element, but thrive superbly in their native habitat. We found this same behavior in the original Foundation series last season, but DPS has brought this new generation of Foundations up several notches in hard snow tolerance, which means they’re on the right track. The other limitation of the CF82 and CF87 are their failure to withstand high-pressure carving situations a technical expert or ex-racer might apply to the ski. Under such high-pressure conditions, these wonderfully lightweight skis will wash-away or fold under duress. The CF82 and CF87 make wonderfully elegant and quickly responsive turns in their distinctively lightweight chassis primarily suitable for packed powder conditions on the frontside of a resort…..which might be exactly what DPS was shooting for. In contrast, the premium-priced Alchemist Cassiars show excellent hardpack grip and power handling under pressure in their configurations to keep experts happy, so we know DPS can deliver on the promise of excellent frontside skis...but might have made the Foundation Cassiars a bit too compliant and easy-handling to deliver the performance needed to capture the width of the market segment they need to be successful in that niche. The CF87 and CF82 share the same behavioral trait: As long as the surface is softly packed or densely packed snow, they hook up on their carving trajectories with very little effort and execute some elegantly-shaped turns as if on auto-pilot. As soon as you get them onto a boilerplate surface (the kind you can’t really get your ski pole into to stand up on its own), they feel skittery and unattached. Ice is even more skittery underfoot, even with a fresh grind and tune on the skis. These ski crave those early morning surfaces of squeeky-dry manmade snow or freshly groomed packed powder...essentially those surfaces you can’t hear underfoot. If you can hear the surface, the CFs will be a bit skittery. If things are silent underfoot, you get a great recreational technical carver as long as you don’t overpower it or get it outside its speed comfort zone. Since the CFs are shaped like carving skis and host the camber profile of a carving ski, they're not a surfy funhouse ride in 3D snow conditions, but is instead directional tools of high precision with a nicely compliant personality and refreshingly lightweight feel when navigating mixed surface types. The responsive body and light weight means you can quickly dance your way through mixed conditions without much effort, as long as you don’t expect a rockered font end to give you a surfy feel or a large surface area underfoot to give you floating feeling. You can ski the CFs all day in all kinds of surfaces without much effort....just be aware you’re on a relatively narrow all-mountain carving ski and not a surfy, loose rockered twin tip. Bumpy conditions reveal the tail of both skis have some pop and snap to them once flexed and released, making bumpy terrain a sporty event as long as you realize the tail is flat and might grab you a few times if you get lazy. The rouned tail shaping reduces the grabby hooking of the relatively flat tail to a minimum. The light weight and high level of agility of the CFs make them pretty fun in the bumps. We liked the playful feel and ability to be quick-quick-quick on demand while delivering a very accurate ride when it counts. The CF82 is especially quick and light on its feet....much more than its dimensions would indicate. Powder conditions were actually pretty fun on the CFs (more so on the CF87), despite their carving-ski nature. It’s not a surfy ride, but when the snow gets fluffy and deep enough to go up and down in, the CFs are easy handling, never balky or difficult like some frontside carvers, so you could take them out on those “wow, we got fresh snow overnight” mornings an have a good time. Be aware they will sink underfoot if you pressure them too much, so think light and they are easy to ride in 3D snow. They don’t smear in powder they way a rockered ski does, so don’t get lazy. Be directional in your trajectory in powder snow and they will work pretty well. The combination of moderate flex stiffness and light weight makes them cope with deeper snow pretty well, but if you’re serious, you’ll leave these skis behind on new-snow mornings and grab something else to surf with....like the Cassiar 95 or 106. DPS’s team of shapers has learned a lot creating cult-like followings for its best-selling powder skis such as the Lotus 124 / 138 and Wailer 112. Their geometry specs deliver a beautifully silky turn sequence in both the CF82 and CF87, with the CF82 being the SL turner and the CF87 being the longer-radius ride, yet still very quick edge to edge. It their element of packed powder surfaces or freshly-blown man made snow, the CFs will initiate a turn with zero effort. Just roll the ski slightly over and apply your weight (no need to pressure the ski by force) and it will pull the forebody into the turn, bringing the skis across your line of travel where you can weight the midbody and tail to finish your turn into a roll of the ski in the opposite direction where the process starts all over again. On the right surface, the CF82 and CF87 are a fine writing instruments laying down a calligraphy of turns into the snow with very little effort. These would be the skis for those instructors or technical demo types who want to show what a carved turn looks like at low to moderate speeds in front of some students. The shaping and interaction with the camber profile are the stars of this design. DPS knows how skis interact with the snow, and the CF82 and CF87 are great examples of how a ski can behave in the right conditions. You can modify your arc mid-turn, and you can scrub them sideways when needed, so you’re not under duress to only make one kind of turn the whole way down the hill. These skis can be ridden along their entire length in GS-style (even on the CF82), or make quicker, shorter turns underfoot without burdening the pilot. You can also ride them through their arc and pressure the tails to get a nice boost into the next turn. They love rolling their turns right and left in constant arcs at moderate speeds most likely found on 89 percent of groomed runs around nearly any resort. If I was going to teach an intermediate to make carved turns and bring them to the next level on friendly surfaces, the DPS Cassiar Foundation 82 and 87 might be a great choice as their next ski. We mounted our Tyrolia PowerRail PRD12 test bindings on the manufacturer’s mark. We played with the position in a variety of different conditions, and always seemed to come back to the factory mark unless we were making lots of higher-speed, gs-like runs where moving the bindings back 1cm worked pretty well. A fine calligraphy pen making elegant strokes on high-quality paper. If you use it on paper it wasn’t designed for, you get less than optimal results. Match the pen to the right kind of paper. Feels lighter than they measure. Quicker edge-to-edge than you expect. Skittery on boilerplate, loose and unsettled. Smooth, smooth, smooth carving transitions, just don't overpower them. Ski them all-day, no effort required. Add a bit more mass or perhaps a bit more torsional rigidity to the ski to improve grip on hard surfaces. People could tolerate a slightly more demanding ski to get better hardpack performance. It could be as simple as adding a bit of metal to the ski similar to the original Cassiar 85 Hybrid which we loved...while keeping the cost down. A recreational carver with a silky shape to its turns and feathery feel underfoot, ideal for packed powder groomers at low to moderate speeds, but isn’t for boilerplate days or ex-racer pressure levels. Very high quality construction and finish. What kind of skier is this ski good for and not suitable for? The ideal skier for the CF82 and CF87 is an advancing intermediate or low-pressure technical carving skier or instructor looking for a lightweight, zero-effort smooth carver for packed powder groomers. Ex-racers, higher-pressure athletic experts and go-fast types will be better off on the Alchemist layup version of the Cassiar lineup. (We loved the Alchemist construction Cassiars we tested for a few runs in February). Demo this ski in conditions you are most likely to encounter in your travels, and be aware it doesn’t like boilerplate, icy conditions or higher speeds as much as other options on the market. This ski could bring your carving up a notch if you need something very light and don’t mind the tradeoffs for a heavier and more demanding ski which would grip icy surfaces better and be more composed at high speeds. Comparison of Northland 178 (left - 13m radius), DPS Cassiar Foundation 87 (center - 18m radius) and DPS Cassiar Foundation 82 (right - 15m radius) showing carving sidecut geometry design differences. Northland follows a very Euro-centric non-race frontside carving shape, while DPS's geometry is completely different.